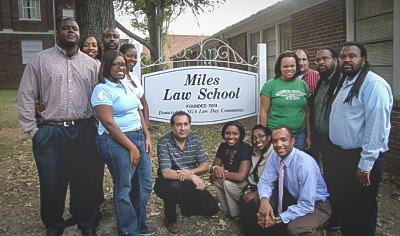 The Law School is located on the historic campus of Miles College in Fairfield, Alabama. It is within easy access of all major interstates serving the Birmingham metropolitan area. The academic setting provides the solitude conducive for scholarly endeavors. Students have access to the school’s wireless system to connect to the internet or to the legal research database.